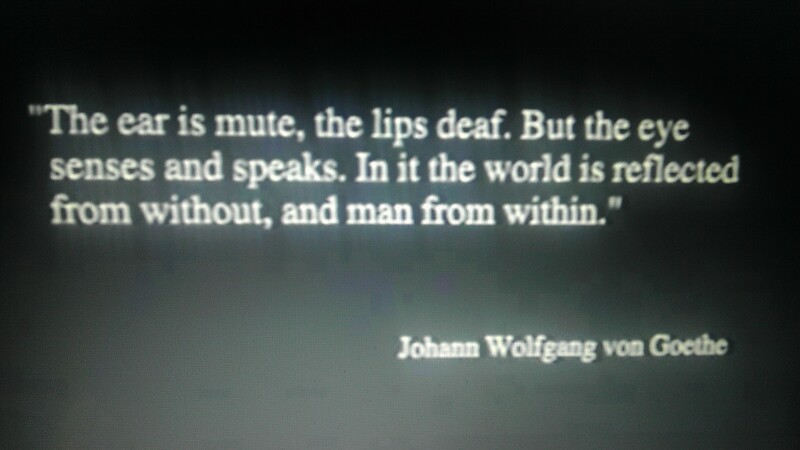 The ear is mute, the lips deaf. But the eye senses and speaks. In it the world is reflected from without, and man from within.